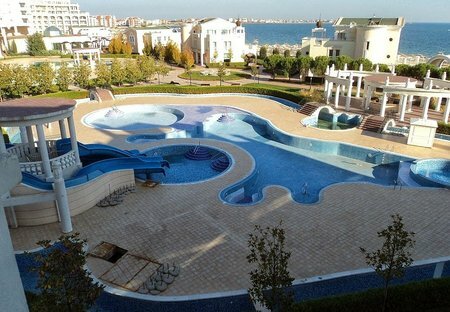 Rent apartments in Pomorie, Bulgaria with swimming pools. Book affordable holiday rentals that are near a beach. 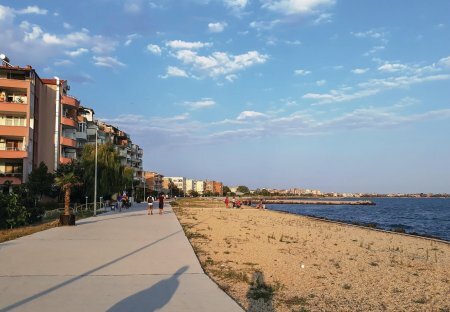 The apartment is located in Pomorie by the sea. The apartment has 3 large bedrooms. The property has been renovated to a good standard and it has been nicely furnished. The rooms also have balconies. Studio apartment situated on the 4th floor with a sea view. It contains a fold up bed that sleeps 1 and so the studio can sleep 3 people in total. Best value accommodation on the resort.